Most of the companies end in failure if there occur any lack in proper management training. Even today many companies run their business without proper management training. They engage their staffs to participate in the management task without proper training in any of the basic management skills. Improper training leads to execute your management process with more flaws. It is not possible to always get experienced managers. If you think that management is the major boon of your company then provide proper management skills to the young staff members of your company. At Isplchennai we provide the best management training to your young staff members. We train your staffs with new and innovative ideas that provide the required management skills to obtain success. Staffs are considered to be the greatest resource of your company. Realizing the importance of young staffs, our trainers provide the basic and required management skill training that includes the management of time and knowledge, project management, self management, behavioral training etc. Outsource management training at Isplchennai helps you to wholly concentrate on core business responsibilities and we are responsible for providing effective management training to your young staffs. 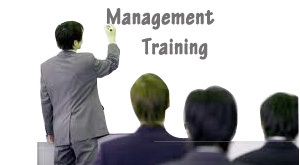 Contact us today to know about our management training services at Isplchennai.